Have you heard of Eating on the Wild Side by Jo Robinson? Normally I am skeptical of any book touting “the missing link to optimum health” — so many silly fad diets out there! — but this is a fascinating, science-based look at the nutritional content of modern-day fruits and vegetables, and makes sometimes surprising recommendations about which varieties to choose and how to store them so they retain their nutrients. You probably aren’t surprised to hear that as humans have cultivated fruits and vegetables to be sweeter, easier to transport and more appealing to look at, we have also lost many of the nutrients found in their wild ancestors. Apples, corn, leafy greens, potatoes, berries…virtually any type of produce you can buy has a less-domesticated cousin that is significantly higher in phytonutrients, those antioxidant plant compounds with many potential health benefits, from lowering blood pressure to protecting our brains as we age. If you tear up lettuce before you store it, you can double its antioxidant levels. How? “The living plant responds to the insult as if it were being gnawed by an insect or eaten by an animal: it produces a burst of phytonutrients to fend off the intruder.” Eat it within a couple days and you consume those additional antioxidants as well. You can turn high-glycemic white potatoes into a low- to moderate-glycemic vegetable by cooking and chilling them for about 24 hours before you eat them. This transforms the starch in the potato to a more slowly-digested form, reducing blood sugar response by as much as 25 percent. Looking at the phytonutrient content of 100 of the most common fruits and vegetables, “three of the top four-ranked foods were dried legumes” and “one serving of cooked pinto beans has more antioxidant activity than six cups of cooked cauliflower or twelve cups of cooked carrots.” Red kidney beans, black beans and lentils have even more. Go beans! Tons of interesting info, as you can see. And reading the book really drove home the point that making a few key changes in how you choose, store and prepare your produce can make an enormous difference in the nutritiousness of your diet and in turn, your health. Which brings us to this salad. If you know even a little about phytonutrients, you probably already know that foods that are rich in color are also rich in antioxidants, and that red-colored fruits and vegetables are especially nutritious, as their color comes from anthocyanins, powerful phytonutrients which are being studied for their cancer-fighting, blood-pressure-lowering and anti-inflammatory effects. Kale salads are my jam, especially now that I live in a city where kale doesn’t exist. (Just kidding, I don’t want to incite another Kalegate. You can find kale salads in New Orleans…just not nearly as often as you do in L.A.) At least once a week, I do some kind of kale + seasonal fruit or roasted veggie + cheese salad. This week I decided I wanted an all-red version, made with Red Russian kale, red beets and blood oranges, with a preserved lemon dressing and a little feta cheese. It’s extra nutritious and stunning to boot, with a bright, slightly briny flavor from the preserved lemons and feta. I ate it for lunch and then again with dinner, and if there had been any left, I would have eaten it with breakfast the next day too. The combo is so good, I sort of forgot the whole experiment was about nutrients in the first place — and isn’t that what healthy eating should be about? Preheat the oven to 425°F. Scrub the beets and trim away the greens and any long roots. Wrap in aluminum foil and place in a small baking dish (to catch any potential leaks). 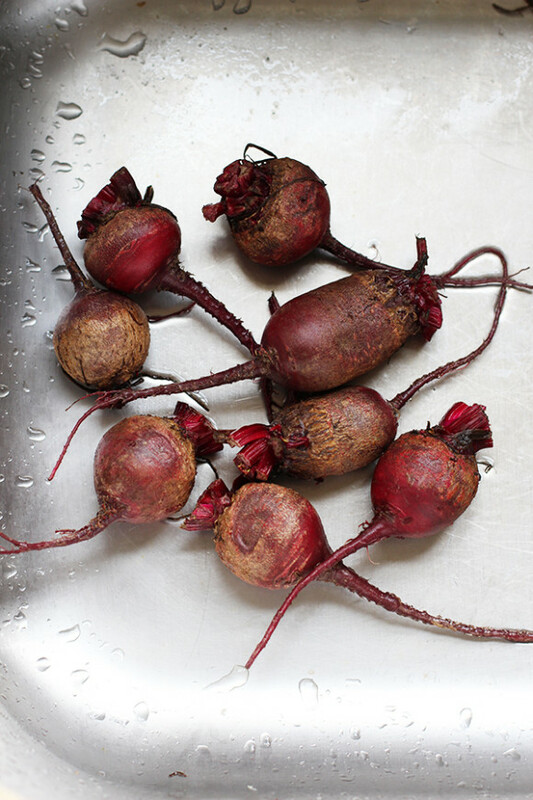 Roast until a knife slips easily into the thickest beet, about 45 minutes to 1 hour. Carefully unwrap and let sit until cool enough to handle. Using a paper towel, rub the skins off the beets. (You can place the beets in a container and refrigerate for up to 3 days at this point.) Cut 3 of the beets into quarters and save the rest for another use. 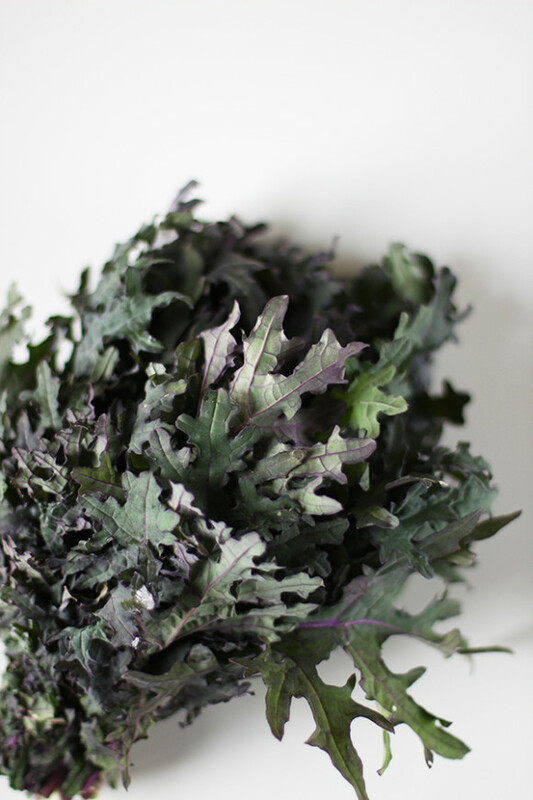 Drizzle the dressing over the kale and massage lightly with your hands to soften the leaves. Toss the quartered beets in the empty dressing bowl to coat with the dressing dregs. 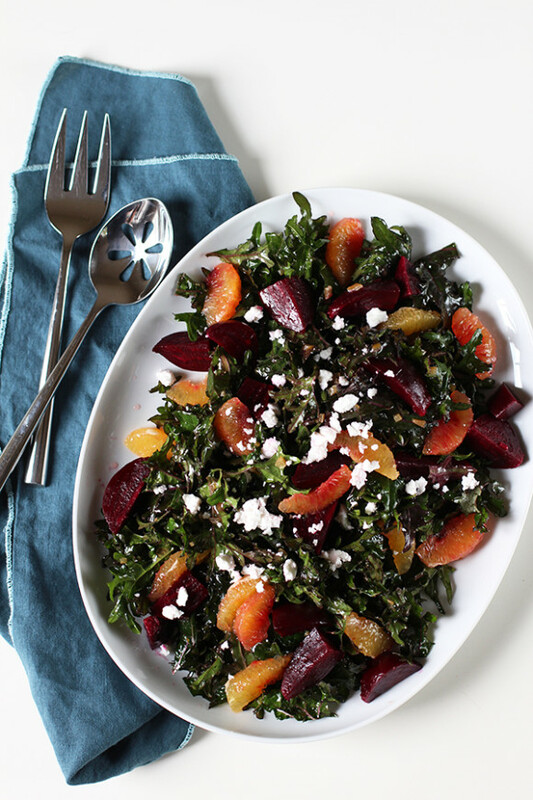 On a platter or in a serving bowl, arrange the kale with the beets and blood oranges. Drizzle the blood orange juice from the bottom of the bowl over the salad. (Or just drink it -- cook's treat!) Sprinkle the feta over the salad and serve. This salad keeps very well, so it can be made and stored in the refrigerator, covered tightly, for up to one day. • Yes, you are only using a few of the beets, but it makes sense to just roast the whole bunch. Use the rest in sandwiches, in salads or just eat them on their own with a little lemon juice and olive oil. 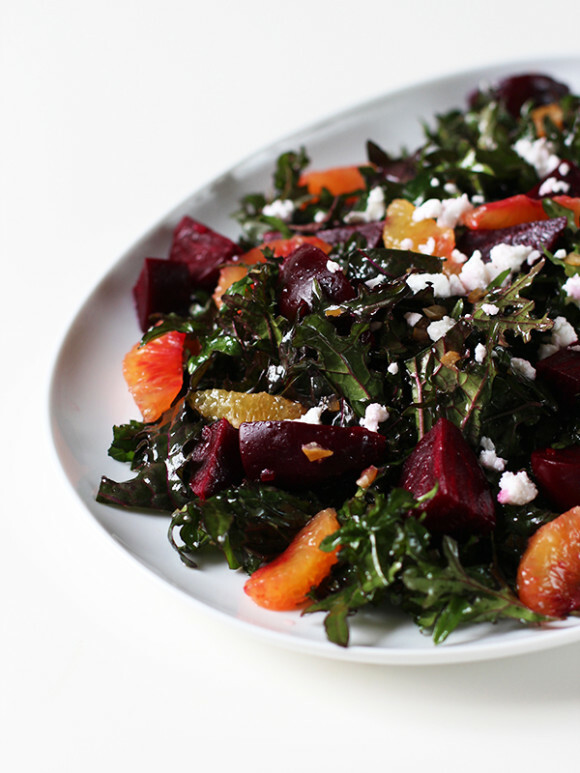 • You can substitute any type of kale, any type of beet and any type of orange in this recipe. • If you have not yet discovered the flavoring wonder that is preserved lemons, now is the time. They are ridiculously easy to make, keep forever and add a bright, funky, umami taste anywhere you use them. 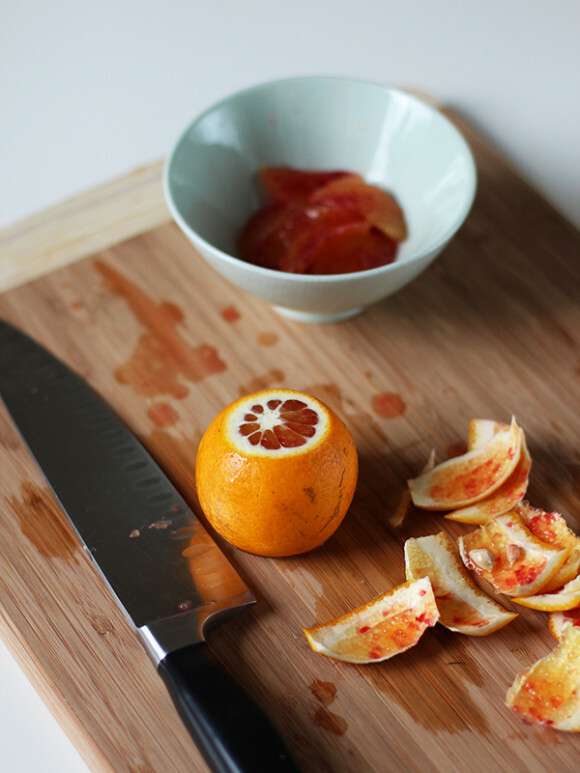 The Kitchn has a tutorial for making your own; use Meyer lemons if you can get them! Beautiful salad and pictures! Great job! I love this!! Kale salads are amazing, and I’ve recently discovered that collards and brussels sprouts are also fantastic raw. And I’ve heard wonderful things about Jo Robinson, and I’m totally reading that book. Nice! Thank you for sharing. Was curious about some possible pairings with the red kale I just purchased. ©2019 Eat Your Greens. Design by Purr.